Breuninger, Düsseldorf, Germany. Photographer Uwe Spoering. 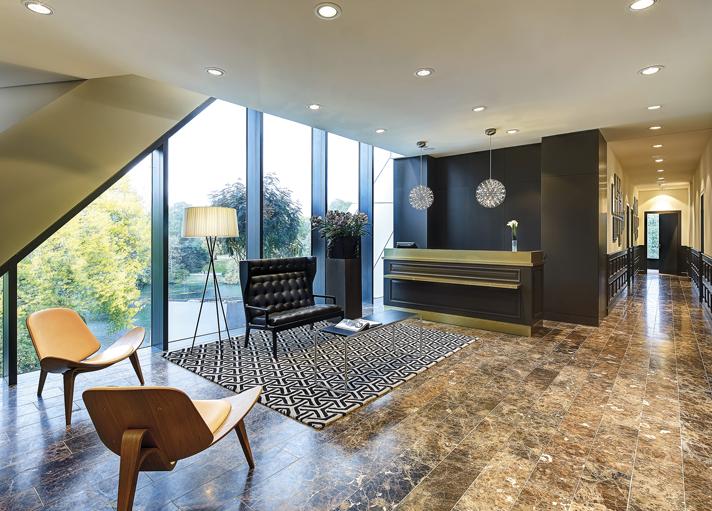 Rug Couture were asked by Boden to create and manufacture a range of rugs for their clients Breuninger for their new five floor flagship department store in Düsseldorf. 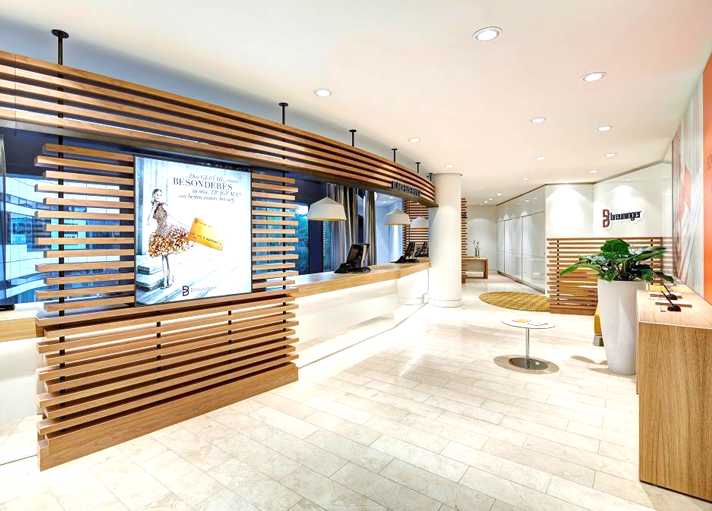 With a fifty year pedigree in the industry we were proud to assist Boden on this extremely prestigious project. The Stuttgart-based fashion and lifestyle house Breuninger are the anchor tenants of the new mixed use Kö-Bogen or ‘King's Bow' development at Schadowplatz in Düsseldorf which was designed by the celebrated NYC based architect Daniel Libeskind. Düsseldorf-based project developers ‘die developer' were able to get Daniel Libeskind involved in the draft on the areal of the 9,000sqm property that measures a total floor area of up to 40,000sqm. 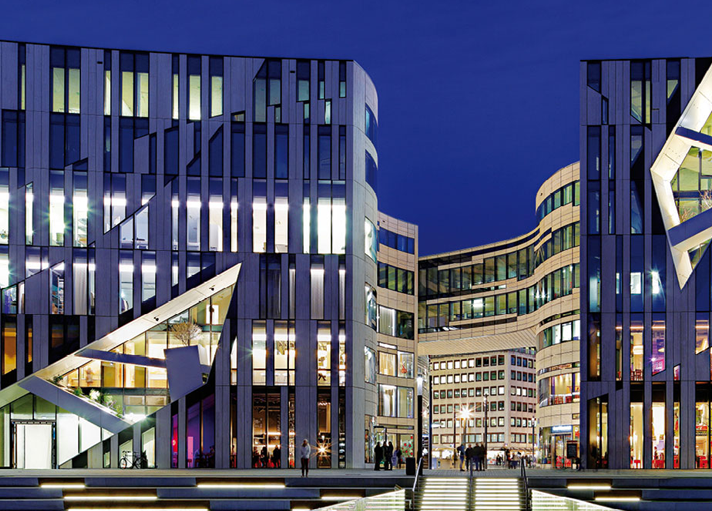 By artfully connecting the city's central park and historic commercial centre and by expanding public space and inserting landscape elements; Studio Libeskind have produced a mixed-use commercial complex that both enriches and extends the highly frequented Königsallee with large flagship stores, unique store concepts and restaurants. The Kö-Bogen development at Schadowplatz, Düsseldorf, Germany. Photographer Uwe Spoering. For this, their first north German flagship store, Breuninger approached HMKM to create a conceptually driven, 16,000m2, five floor boutique-style department store. Photographer Uwe Spoering. 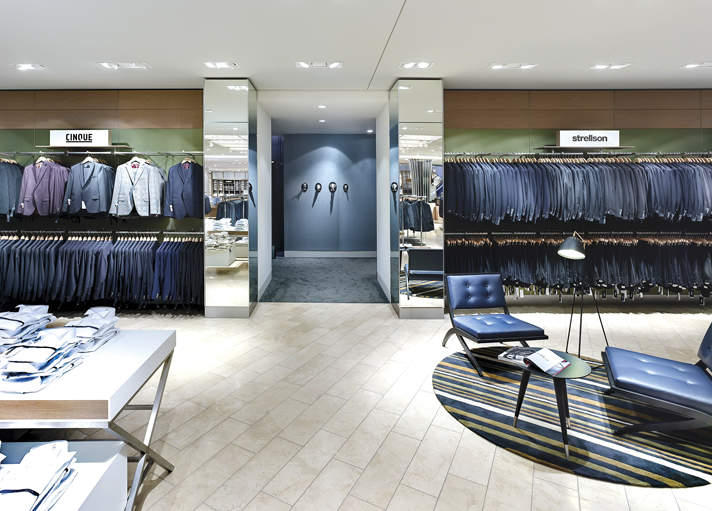 Centred around the narrative of a ‘Fashion Garden’ the store concept was inspired by the neighbouring Hofgarten Parkland. Photographer Uwe Spoering. 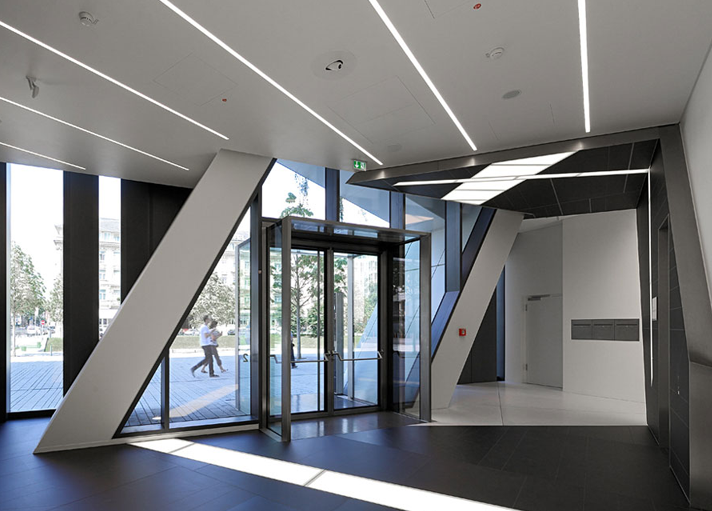 Schwitzke & Partners were appointed as executive architects for the whole project and HMKM as creative interior designers for four of the five floors (with the basement retail design by Liganova). As lead architect Daniel Libeskind was the perfect choice. 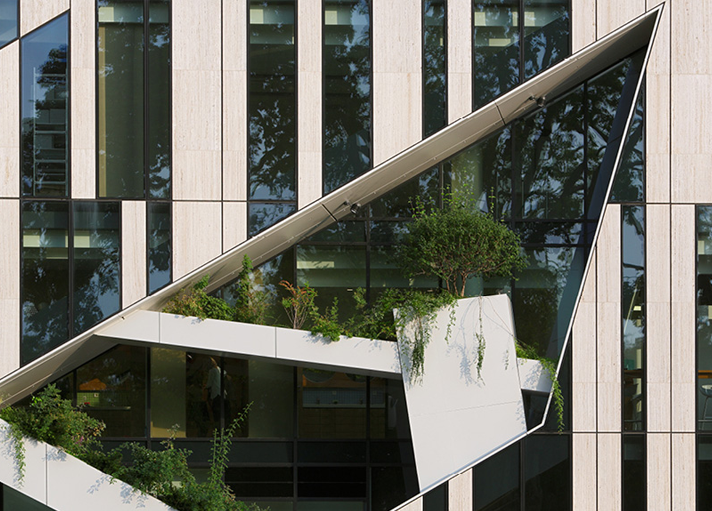 The façade of Kö-Bogen is intricately patterned: horizontal from some vantage points, vertical from others, and conceived so that the arrangement of stone and glass panels and aluminium louvers express a homogenous reading. Photographer Uwe Spoering. Fourteen geometric designs were chosen by Boden which worked beautifully with the aesthetic of the building and the concept store itself. All over 2m in width/diameter featuring exclusive Rug Couture designs hand tufted in New Zealand Wool in our superior HT5 quality; many numbered up to six colours with hand carved accents. All rugs were completed as part of our special six week service for Boden, naturally flame retardant and stain inhibition treated for heavy use within such a public space. One of fourteen rug commissions in Breuninger. The rug shown was hand tufted in New Zealand Wool, measured 2.5 x 3m and features our Triform design. Photographer Uwe Spoering. Rug shown is our Candy Stripe design also hand tufted in New Zealand wool. 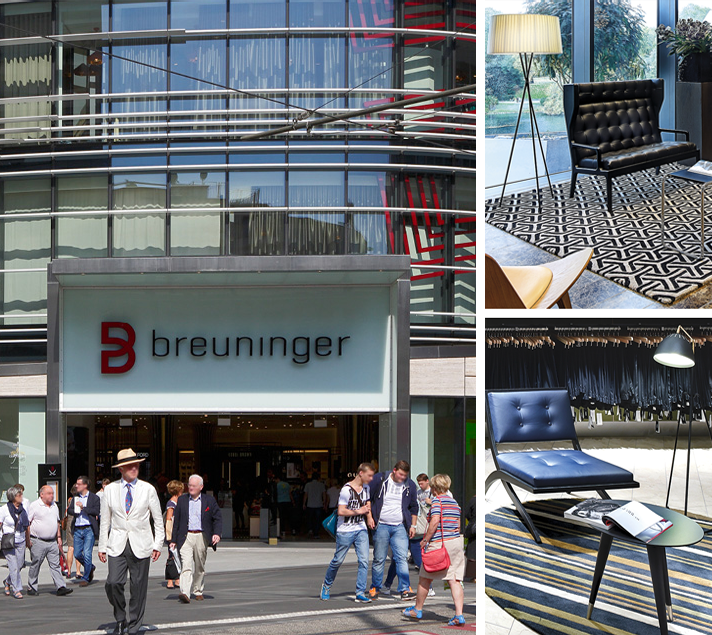 Breuninger celebrated the opening with eight hundred guests at a spectacular red carpet event. Guests included international celebrities such as Brooke Shields, Irina Shayk, Barbara Becker, Katja Flint and others. 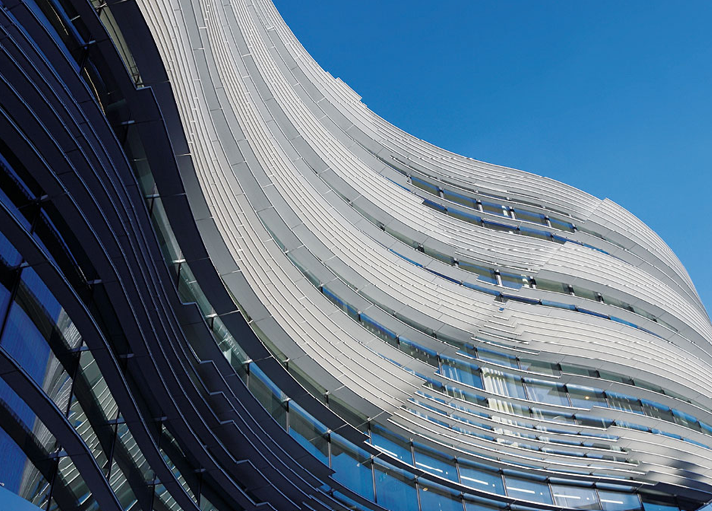 The Kö-Bogen, Dusseldorf is the recipient of the MIPIM Awards – Best Urban Regeneration Project 2014.